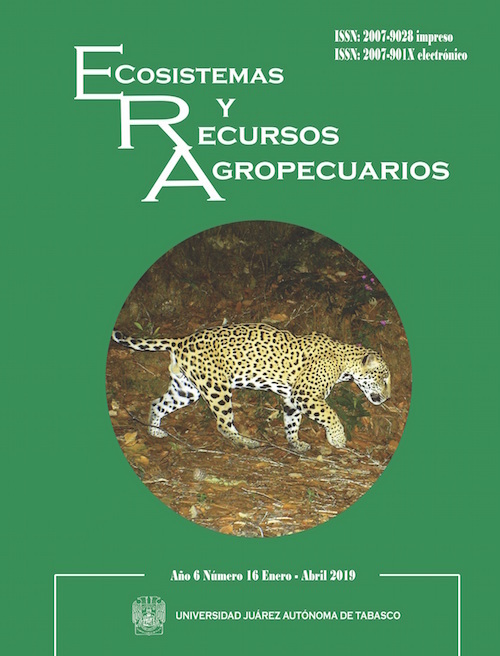 Ecosistemas y Recursos Agropecuarios is an international journal published every four months in December, April and August. It publishes original and previously unpublished Scientific Articles, Scientific Notes and Review Articles, from researchers of any national or international educational institution or research center, in an electronic and printed open access format. The journal’s aim is to create a space for discussion and dissemination of results and advances of original and unpublished research on the topics of Agronomic Sciences, Animal Science, Environmental Science, Wildlife, Conservation of Natural Resources and Ecology.